Well, I hope you are not afraid when you here this question. By the way, its translation is “Excus me, could you tell me what day of the week it is today?” Would you exactly know what to anwer? So, you’re that you have found this article in language-easy.org! We will have a more detailed look on these seven words you will use almost every day. Furthermore, let’s talk about the name of the months in German as well. The first chapter of our article today goes straight to the topic: The direct translation of the days of the week in German. Without loosing too much time in talking, let’s see the table. Now that you know the translation of the days of the weeks in German, everything is alright? Unfortunately, you entered the world of the German language. Here, nothing is easy. Well, here are some important rules you should follow in order to use the words for the days o the week in German in the right way. Let’s start right ahead with the most important rules for using the days of the week in German. You will see that it is much easier as you might think. Sometimes, the names for the days of the week in German are capitalized. This means that the first letter of the word is a capital. Of course, the day of the week are German nouns and they also behave like that. Nevertheless, you do not capitalize them when you put and “s” behind the word – this means this day in general. When using a day the week in German, you should use the word “am”. This word could be translated with the English verb “at”. If you don’t use this word when expressing a day, your German will certainly loose some for its perfectness. Every single one of the days of the week in German have a masculine article. So, the German articles you have to use is “der” as a definite article and “ein” as indefinite article. There are short forms for expressing the day of the week, especially used in written German. They are quite similar to the ones we use in English, although there are slight differences. Here you have a list. Although Germany comes from the same general European culture as many factions of the United States, there are still differences between the German and American approaches to work and family tradition. One main arena where that manifests itself is in the German approach to Sundays. Almost all stores are forbidden from opening on Sundays in Germany, making the day a sacrosanct time for family. Many German families spend Sundays eating cake and coffee in cafes, taking strolls if the weather cooperates, and decidedly not shopping or working. Last but no least I want to thank you for your attention. Well, I know that languages, especially German, can be pretty hard – and, of course, slightly boring, sometimes. So, well done! 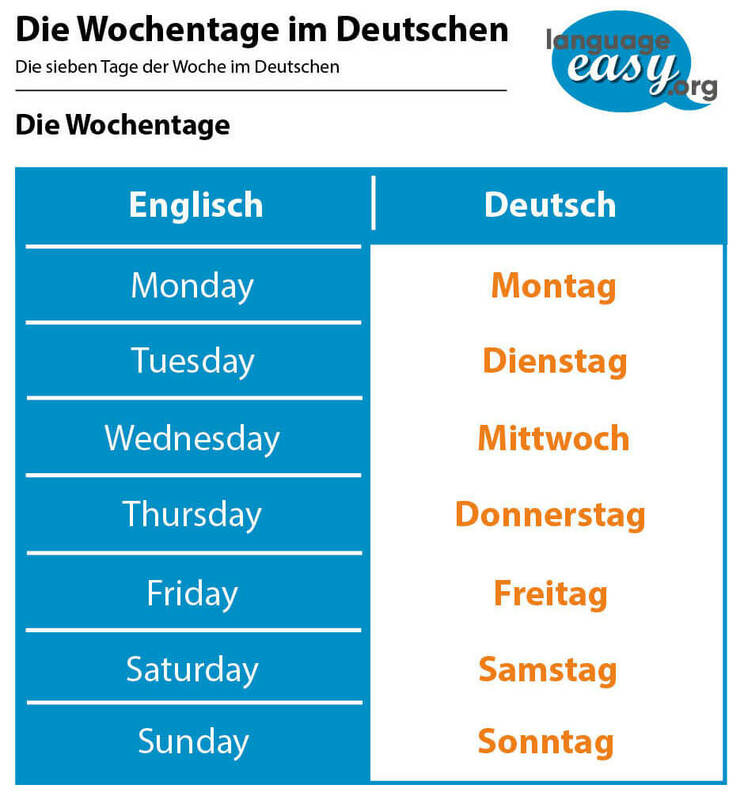 You should know how to apply the days of the week in German in a proper way. At last, it is of crucial importance that you keep on practicing – No matter if you do that by making appointments at some German speaking offices in order to test you. Or if you simply write practice sentences. Or if you just learn German children songs by heart and sing them. The only important thing is: Keep on practicing. Have a look at this website, where you can find some good exercises to master the German language! Learning French colours is an easy and useful step to take for any learner of the language. 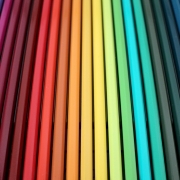 Let’s learn how to express colours in French and their nuances, in a lot of meaningful ways. We’ll deepen our study a little bit further than the usual list of main colours that’s all over the web ; and we’ll take a few grammar considerations too. Let’s go ! We’ll start by the most basic question, the one that might have actually brought you to this page anyways : How do you say the colours in French ? After all, learning a new language is also about memorizing vocabulary, and we might as well start with our exploration of French colours with a little list. Grammatically, this is an elision : what you describe is something bleu [comme le] ciel (blue as the sky) or un bleu [de la couleur du] ciel (a blue of the colour of the sky). Some expressions, like the ones above, are widely used and have a standard name, but if you have your own poetic mind and you want to transmit the impression of a colour in your own way, there is no limitation but the pertinence of your comparison (well, if you‘re saying vert-soleil, you’ll be looked at a bit weirdly, won’t you?). Sometimes, you’ll find bigger elisions as the name of the colour itself is also omitted. des cheveux d’un noir de jais et des yeux d’un vert d’émeraude. or simply : des cheveux de jais et des yeux d’émeraude. Wait, seriously, about the hummingbird : it’s incredibly beautiful. You need to see this. There are also a lot of words that express relations between colours in French. In the case of rose, écarlate, vermeil, violet and a few more, they have ascquired the status of a simple adjective over time, which explains that they behave differently although they are names of vegetals. How interesting is it that the way a nation sees the world is reflected in its language ? 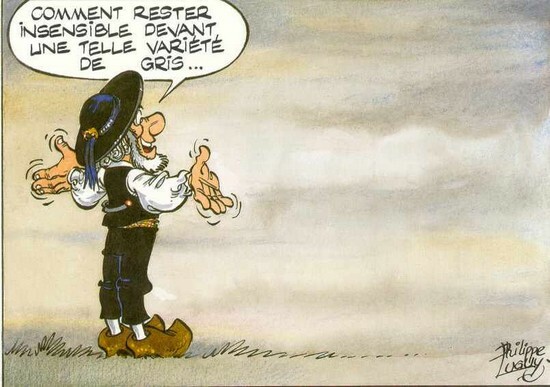 C’est tout, les amis ! There is so much to say about colours, and I’ll make another post to talk a little bit about colorimetry. Stay tuned, and until then, if you have any question about the colours in French, I’ll answer in the comments ! In Germany, as well as in all the other german speaking countries, german greetings are an essential part of any social interaction. They show the good manners and education you possess and, most important, the respect you have for other people you interact with. So, using german greetings in nearly every day-to-day situations is quite common – whether in business-meetings, comunication with authorities or when just meeting your friends. Appropriate german greeting is always a good way to get started! Here you can see the most comon greetings used in german-speaking countries. 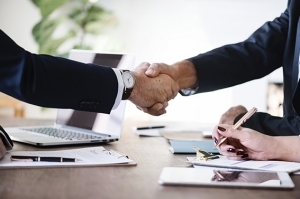 We will differ between formal german greetings you use in business-situations or with authorities and german greetings you use among friends and family. Wie geht’s? [viːˈge:ts] – How are you? Alles klar? [ˈaləs kla:ɐ] – Are you all right? „Servus“ is a greeting mainly used in the southern part of Germany, Austria and North Tirol, Italy. You can use it in these regions as a simple „Hello“. Phrases as „Wie gehts’s?“ and „Alles klar?“ are another comon form of german greetings among friends and family. As an answer, a simple „Gut, danke!“ (Yes, thank you!) or „Ja, danke!“ (Yes, thank you!) can be the answer. Well, letters as a normal form of day-to-day comuncation between friends and family became a little bit outdated. But, of course, informal german greetings still ocure in written form in Emails and other text-messages. „Lieber“ might be the most important form of beginning and informal letter or text-message. So, formal german greetings, as already mentioned, are mainly used when talking to authorites, older people, unknown people and in business. A handshake and eye-contact are mandatory, hugs are a no-go when you want to greet someone in a formal way. Kisses are no comon gesture, although it can ocure in formal and informal greetings. There are no rules how many kisses on which side you have to give. Guten Morgen! [gu:ten ˈmɔrgən] – Good Morning! Guten Tag! [gu:ten ta:k] – Good Day! Guten Abend! [gu:ten ˈa:bənd] – Good Evening! Whereas „Guten Morgen!“ is a phrase normally used when getting up but also when greeting people in the morning, „Guten Tag!“ and „Guten Abend!“ can be seen a more formal german greetings to use – „Guten Tag“ as one of the most comon phrase and „Guten Abend“ as a rather old-fashioned german greeting being used when greeting people who are much older than yourself. Grüß Gott! [grü:s gɔt] – God greets you! Grüß dich! [grü:s dɪç] – God greets you! Grüß Sie! [grü:s zi:] – God greets you! Grüezi! [ˈgry:ɛtsi] – God greets you! German greetings like „Grüß Gott!“ and related phrases are used in the southern parts of Germany, especially in Bavaria. You will not hear them in other parts of Germany. Also Austria and Switzerland use these german greetings, whereas only in Switzerland „Grüezi“ is comon. This way to greet is seen as an old-fashioned way, also in these german speaking parts of the world – nevertheless you will hear them quite often. Remeber that there is a diference between „Grüß Sie!“ (formal) and „Grüß dich!“ (informal). When writing a formal letter or email, you should always use the right greeting, as formal aspects are seen as quite important in german-speaking countries. The way you write oficial letters or emails reflects the respect you demonstrate towads the person or authority you talk to. As you know, the adjective „geehrte“ / „geehrter“ adapts to the Noun, in this case to the female noun „Frau“ (Madam) or the male noun „Herr“ (Sir). Saying Goodbye in German can have many diferent forms, too! We will now see informal and formal phrases and words, aswell as vocabulary you mainly use in phone-conversations and written messages. Well, no further explanation needed – here are the most comon informal ways to say goodbye to each other among friends and family. Bis später! [bɪs ˈʃpɛ:tɐ] – See you later! Bis bald! [bɪs balt] – See you soon! Machs Gut! [maxs gu:t] – Take care! Viel Glück! [fi:l glʏk] – Good luck! Servus! [ˈsɛrvʊs] – Good Bye! Pfiade! [bfiàdde] – Good Bye! „Servus!“ is a way to say hello, but it can also be used as a way to say goodbye! It simply depends on the context of the conversation, whether you want to start or end it. „Pfiade!“ is used in southern Germany, especially Bavaria, and also in Austria and parts of Switzerland. Only people from these regions acutally understand and use it – so, be carful when aplying it in northern Germany.. People there won’t understand you! By the way, its official translation would be „May god lead you!“. Viele Grüße! [fi:lə ˈgry:sə] – Best regards! Liebe Grüße! [ˈli:bə ˈgry:sə] – Love, … ! Auf Wiedersehen! – Good bye! Auf Wiedehören! – Good bye! German speakers often mention the frase „Ich wünsche Ihnen noch einen schönen Tag“ – I wish you’ll have a good day! „Auf Wiederhören“ is directly translated as „It would be nice to hear from you again“ – as you can see, it is used as a formal way to say goodbye to someone you talk by phone in a formal way. So, once you begin speaking this language more actively, you will notice that all these words and phrases are of day-to-day use and will enter your mind faster than you think. Check out our other grammar topics on language-easy.org for a broad overview of german grammar!